While reports covered the broad strokes of Apple's conference call on encryption last Friday, bits of information are still surfacing, including an interesting statistic that reveals an average iPhone user unlocks their device about 80 times a day. The tidbit was aired Monday by Ben Bajarin, head of primary research at industry analyst Creative Strategies, who in a post to Techpinions said Apple executives revealed the figure during a deep-dive into iOS device security. As previously reported, Apple last week offered a closer look at its advanced consumer safeguards during an expository conference call meant to coincide with a court filing resisting an FBI iPhone access request in New York. As Bajarin notes, much of what was discussed can be found in Apple's security white paper (PDF link), but executives and senior engineers did provide new details on the inner workings of key features like the Secure Enclave. Company executives, who have not been identified, also peppered in a few choice statistics to bolster the case against weak encryption. For example, Apple said 89 percent of customers with Touch ID-enabled iPhones and iPads set up and used the fingerprint recognizing feature to unlock their device. This compares to Bajarin's own research, which shows about 85 percent of iOS device owners protect their hardware with Touch ID or a passcode. The analyst argues Apple's easy-to-use security systems are driving consumer protection to new heights, an important consideration given the amount of sensitive information stored digitally. Whereas consumers just a few years ago left devices unlocked, either due to user apathy or lack of security features, a vast majority of iPhone and iPad owners are now protecting their devices with Touch ID and iOS passcode locks. This theory is borne out by Apple's numbers. Bajarin said Apple mentioned the phrase "balancing security with ease of use" multiple times throughout the presentation, a statement that speaks to the company's security mantra. Apple has seen great success in an area of tech where many have tried —and failed —to innovate. 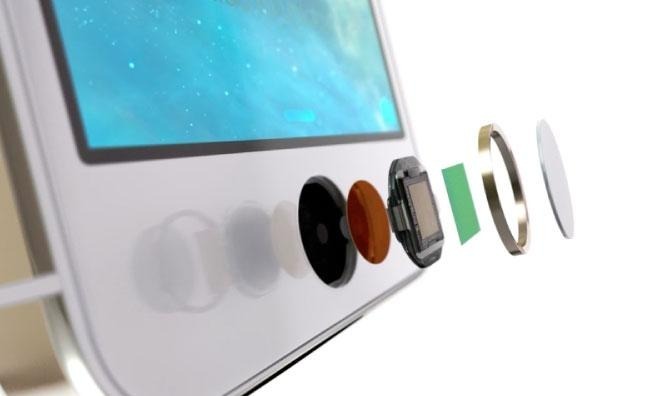 While OEMs roll out security protocols, fingerprint readers and other mechanisms in the name of customer privacy, Apple realizes the only effective system is one easily accessed by the end user. In the case of modern iPhones and iPads, encryption is embedded at the silicon level with a Secure Enclave coprocessor, itself gated by a consumer-facing technology —Touch ID —so seamless as to be almost transparent to the user experience. Apple molded its low friction interface around normal device interactions, meaning iPhone and iPad owners can enjoy maximum security with a minimum investment.